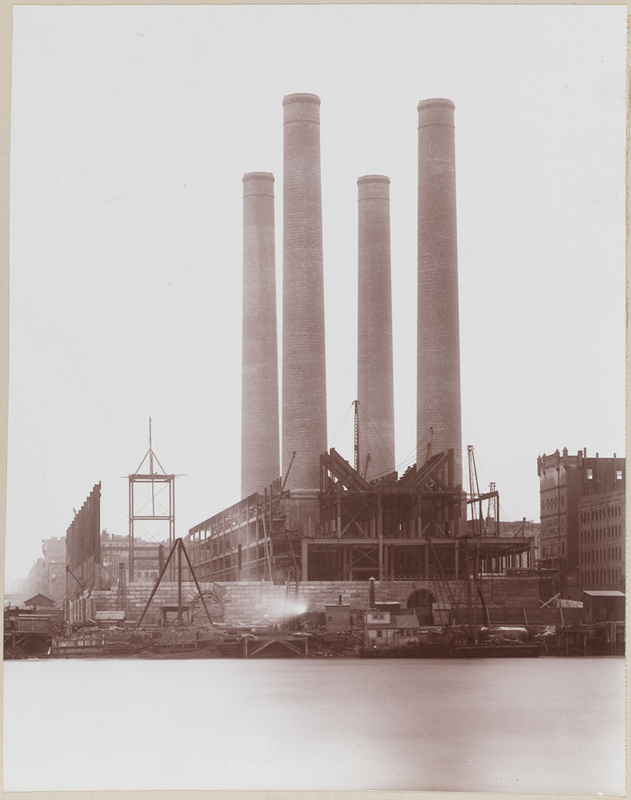 For the past two weeks I’ve had the pleasure of digitizing our photographs of the construction of the 74th Street Power Station located on the East River between 74th and 75th Streets. 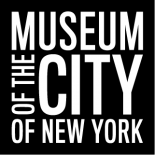 Most power plants in New York City at the turn of the 20th century were located on either the Hudson or the East River because they used the river water as a coolant. 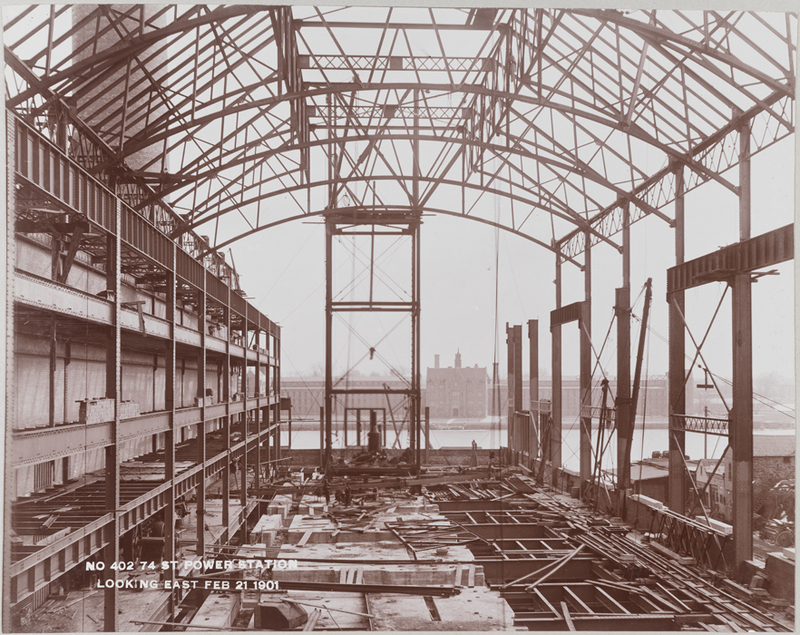 The main towers were the first part of the building to be completed, in October, 1900. 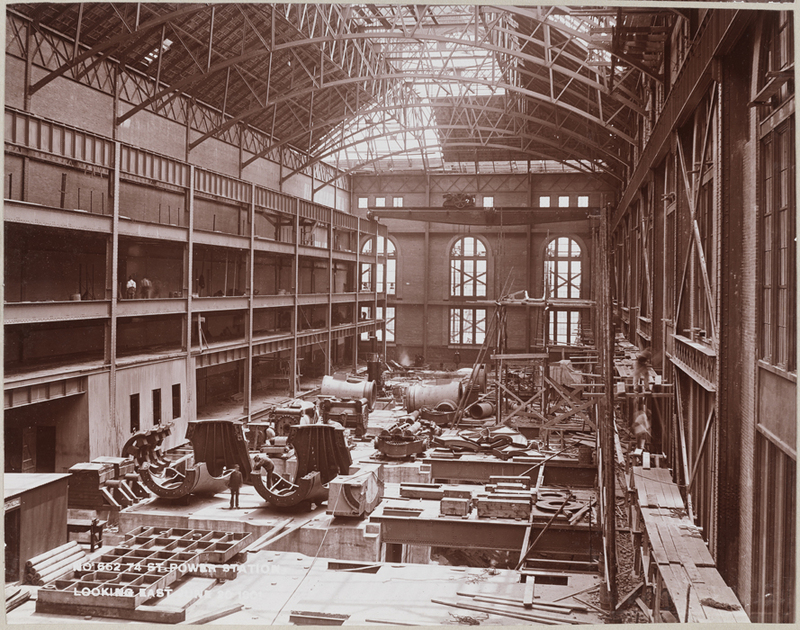 You can see here that from February to June 1901 the engine room was almost fully completed. 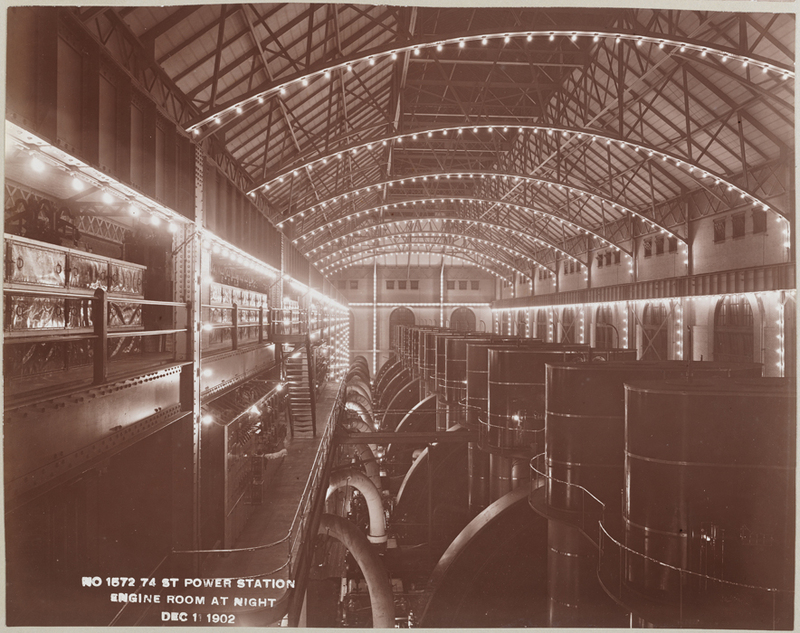 According to the IEEE Global History website regarding the history of railway power stations of New York City: “Originally, the power house was equipped with eight huge Allis-Corliss reciprocating steam engines, each rated at 10,000 horsepower maximum. 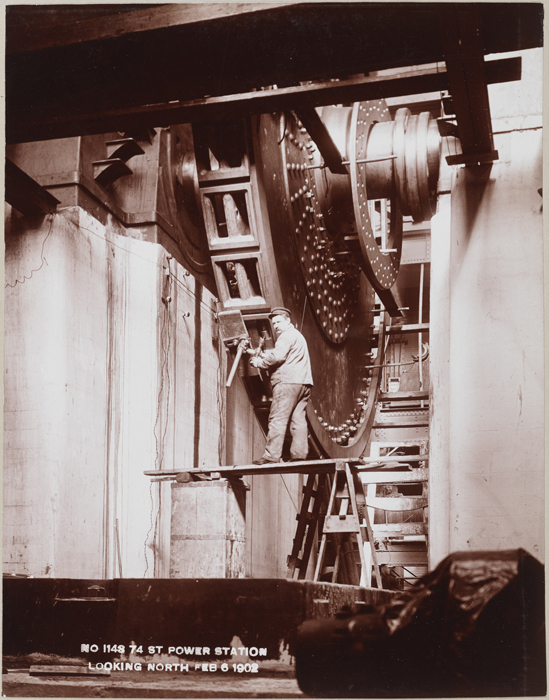 Each engine drove directly a Westinghouse three-phase, 11,000 volt, 25-cycle alternator rated for 7500 kilowatts.” At the time these eight Westinghouse alternators were the largest ever built! 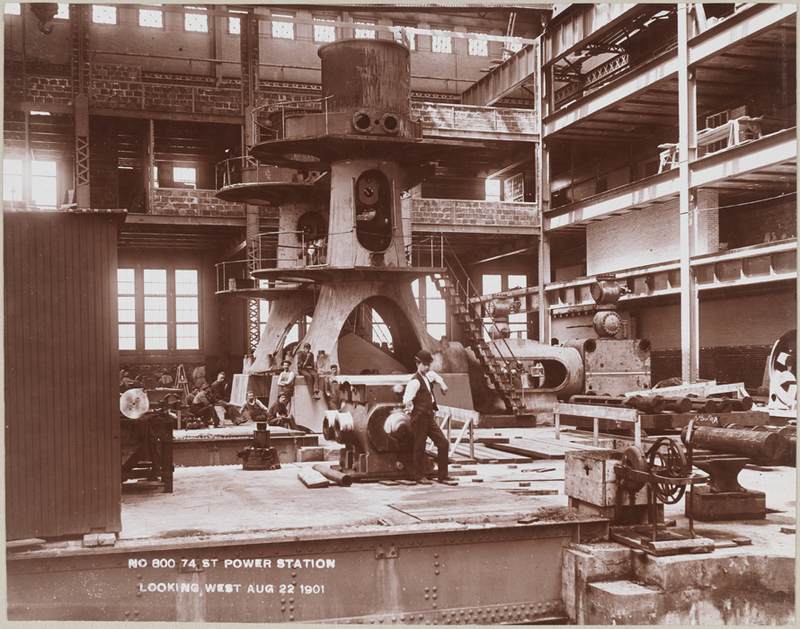 Here is the completed engine room with those impressive steam engines cranking away. I especially loved the photographs of the men who built this amazing example of engineering and construction. 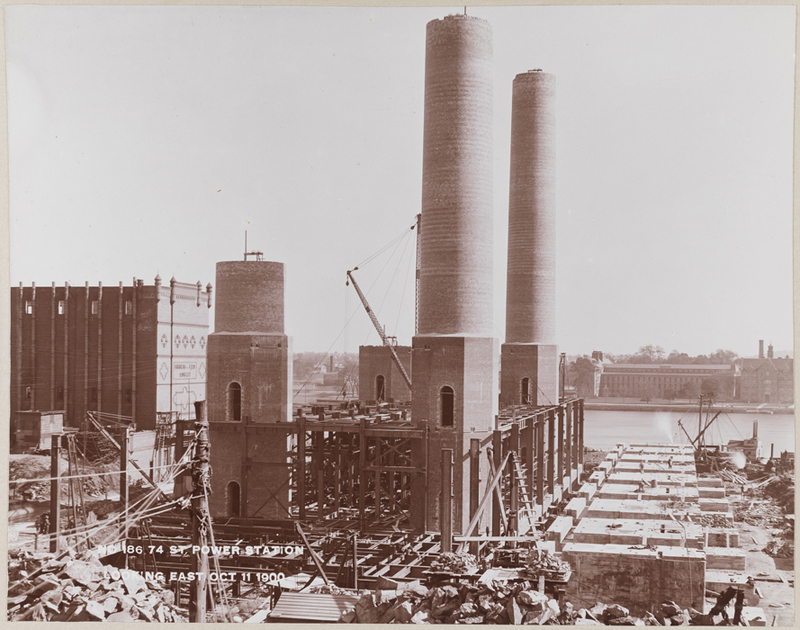 Though the 74th Street Power Station is still in use today, it is no longer coal powered. 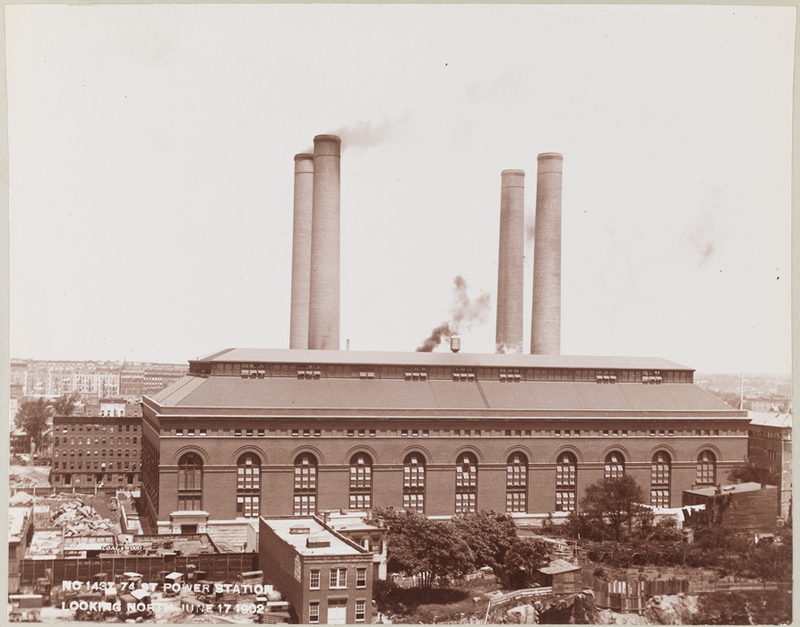 In 1959 the plant was taken over by the Consolidated Edison Company and it continued to supply coal power to substations in Brooklyn, Manhattan, and Queens. 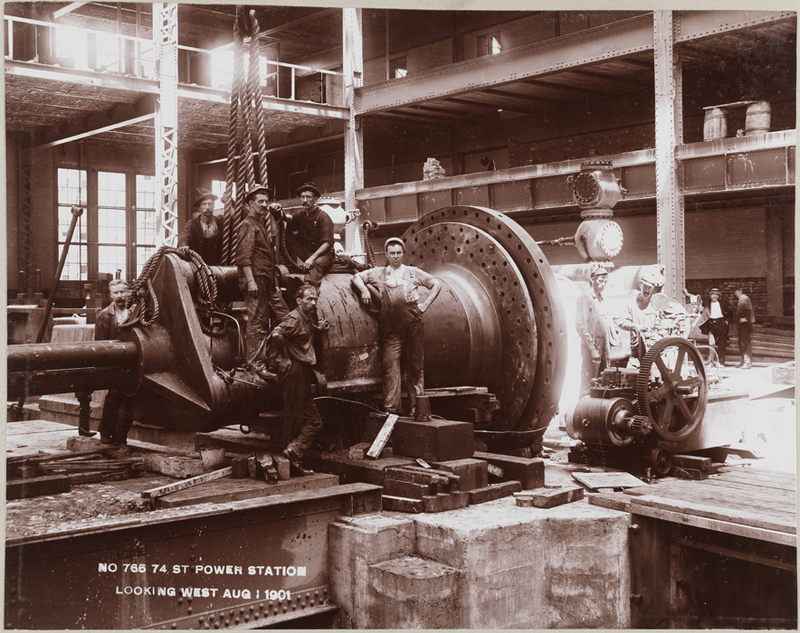 In 1999 new boilers and gas turbine generators replaced steam ones and the station continues to contribute to the city’s electric power grid. 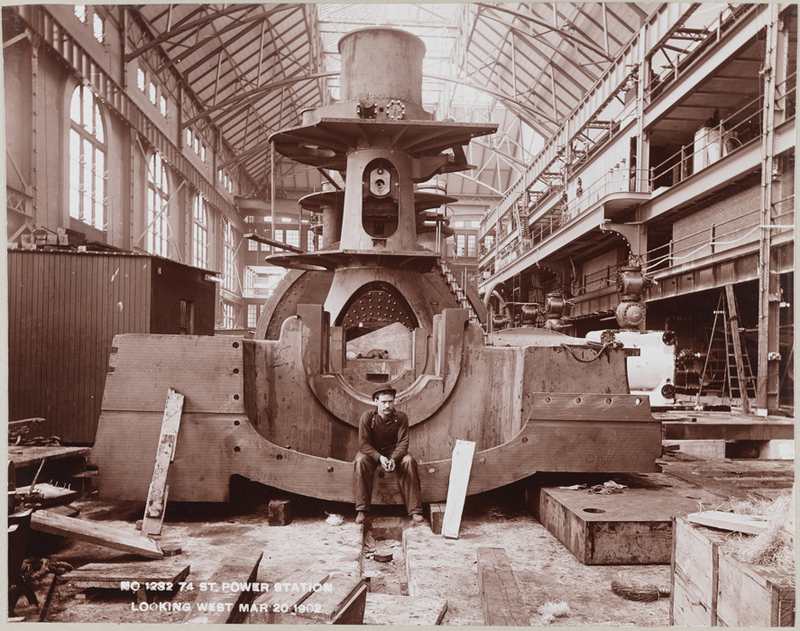 For more information about this and all power stations in New York, you can read the IEEE Global History Network’s page on the Railway Power Stations of New York City. What great photographs from an unkown photographer! 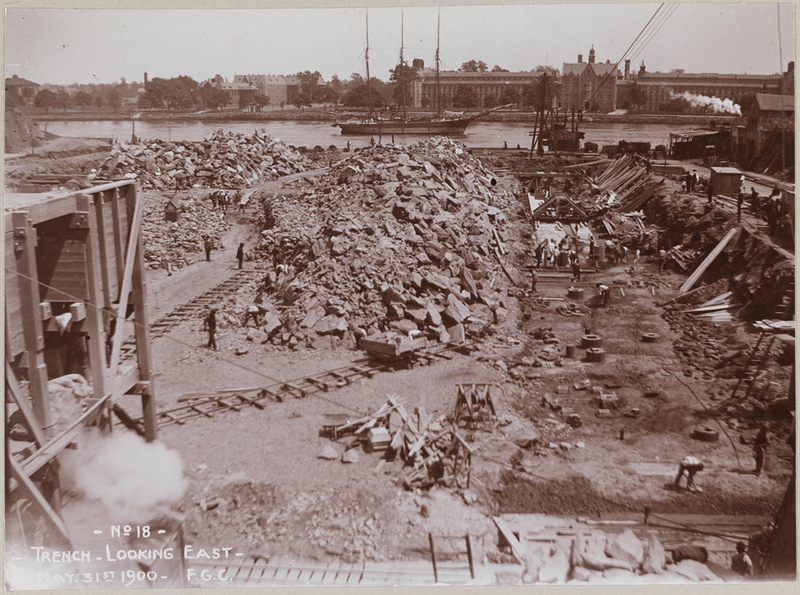 This entry was posted on June 12, 2012 by Mia Moffett in Digital Project, Photography Collection and tagged 74th Street, Consolidated Edison Company, Construction, Construction workers, Engine, Manhattan Railway Division, New York City Railway, New York City Subway, Power Station, Steam Engine.